A photo of the stormwater runoff at the West Lake Landfill in Bridgeton, Missouri after heavy rains in December 2015. Sixteen months after state tests found historic atomic waste material in flood water runoff from the West Lake and Bridgeton landfills, heavy rain has prompted a new round of tests. Samples of storm water from the northeast corner of the landfill area near St. Charles Rock Road will be analyzed for radionuclides, the Missouri Department of Natural Resources announced recently. Concern has mounted for residents of Bridgeton, a suburb northwest of St. Louis, where the West Lake Landfill is located. The radioactive wastes at West Lake were generated from 1942 to 1958 in St. Louis during the processing of uranium for the world’s first atomic bombs. The radioactive material was illegally dumped in the landfill in 1973. Scientists have warned that the radioactive wastes are contaminating the groundwater, which flows into the Missouri River, which many people drink. In fact, state and federal officials have known for decades about the threat to human health posed by the radioactive material at West Lake. Yet nothing has been done that has stopped the runoff or led to the cleanup and removal of the material. The recent severe weather comes nearly a year and a half after the same areas were inundated by rain and flooding in December 2015. 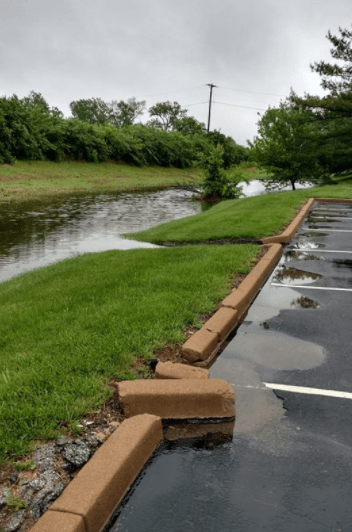 Both then and recently residents of Bridgeton were able to capture photographs of stormwater carrying sediment off of the landfill and off-site into a drainage ditch. These images were sent to state and federal officials, and residents and elected officials demanded tests to determine if radioactive materials had been disturbed by the runoff. Sampling conducted by the U.S. Environmental Protection Agency verified that contamination had migrated from the landfill into the ditches. For decades federal officials have warned of the dangers of storing radioactive material near the Missouri River, the source of much of the area’s drinking water, and the dangers of radioactive contamination to people who work in and near the West Lake site. 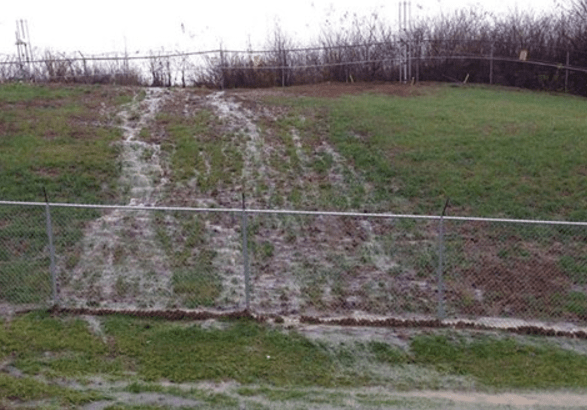 A picture of stormwater runoff flowing down the side of the West Lake Landfill in Bridgeton, Missouri into a ditch alongside St. Charles Rock Road. A photo of the drainage ditch referenced in the 1993 EPA Order that carries water near the landfill directly into the Missouri River. 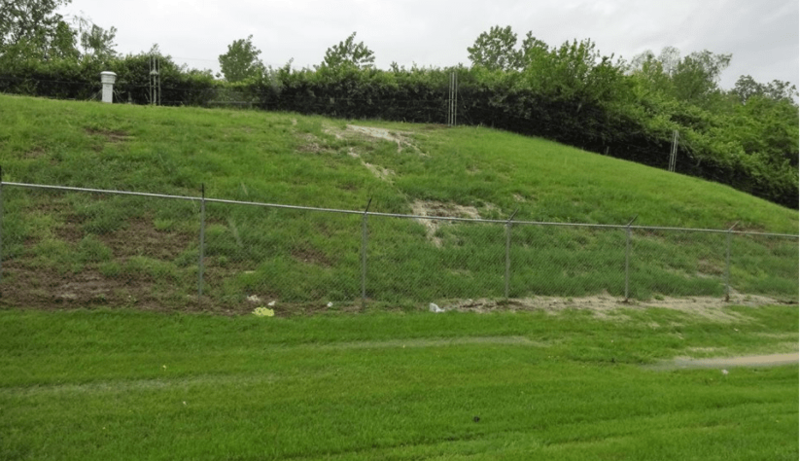 The recent rain and stormwater runoff has been observed to be cascading off of the landfill in the same locations as the flooding in 2015 and in the same area as described in the 1993 EPA Order.